Many of you may have noticed that orange lips are in for spring. I'm actually really excited about this trend and hopefully it last a while. I've had a couple of orange lipsticks for some years now, but have never really put them to use. But with the emergence of this trend I have been able to try them out and I love this look for the spring. 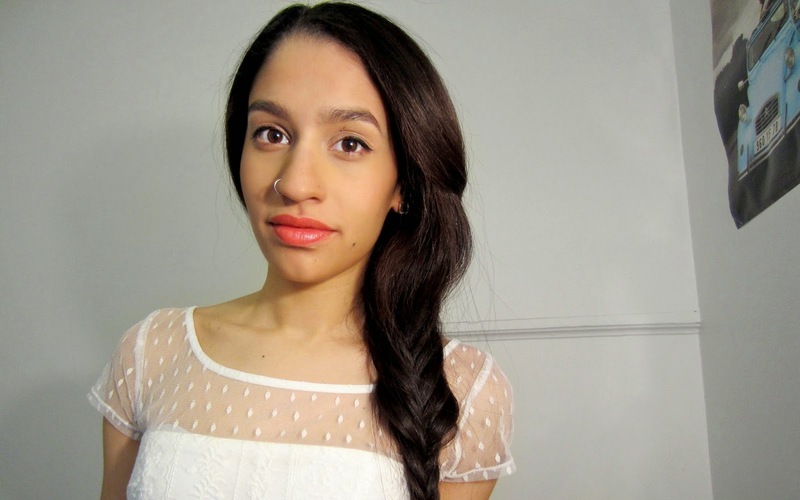 An orange lip is great for adding a bold lip in the spring thats not a red. I personally think red is more of a winter and fall look, I just don't gravitate towards my reds in the warmer months. However, orange would be a great alternative to red for spring. This may be because orange has a naturally warm undertone, just look at the colors [yellow and red] pretty warm right? In the photo above I'm wearing Cle de Peau's lipstick in number 8. By far my favorite everyday orange, it can go on sheer to just give just a hint of orange but can become completely opaque as well. This is a more peachy orange, I don't see it as a bam in your face orange and thats why I think its perfect for those just getting into orange. The L'Oreal lipstick in volcanic is a much more budget friendly alternative to this trend. Volcanic leans towards a more burnt red orange shade which is great for night time. Orange lips are a great way to add a spring pop of color. Are you all as much fans of this trend as I am? 11 comments on "Orange Lips "
I'm actually enjoying this trend. That shade looks beautiful on you and you looks absolutely stunning in the picture. I would love to try anything cle de peau, but its just not in my budget :( You look gorgeous also. I think the orange shades really compliment you skin tone. Great post! You look so good with orange lips! You should try it out, you could end up loving it!